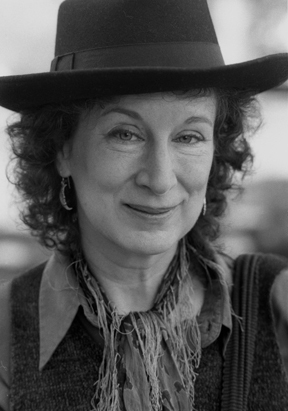 Recently, in my English class, we have been reading various writings by Margaret Atwood. I have fallen in love. She has a certain something. When I was asked to describe why I liked her so much I couldn't help but say she seems like a real spitfire. I think she would find it amusing that we are even analyzing one of her stories, in particular, as it seems to be written to make fun of the generic styles in which so many books are written. I cannot wait to read more of her work. If you have not heard of her hurry to your library and check her out (literally).